Despite being 8-0, very few people consider the Kansas City Chiefs to actually be the best team in the NFL. 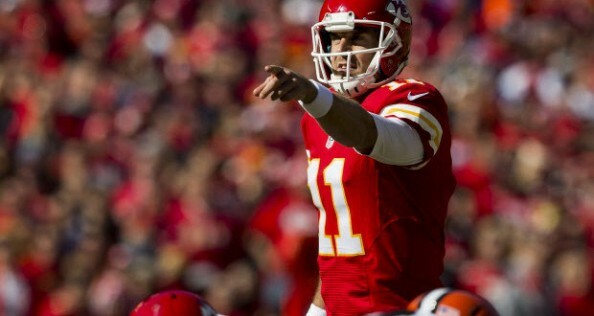 However, some numbers are hard to argue with, and getting a mistake-free performance from Alex Smith is always a reason to pop a champagne bottle or two, especially while doing it without any special help from the defense that usually picks up most of the compliments. The Chiefs forced only one turnover and sacked Jason Campbell only once. It was still enough to give Alex Smith enough room to operate as he threw two touchdown passes and most importantly didn’t throw a single interception as they carried on to narrowly beat the Cleveland Browns 23-17, improving to 8 consecutive wins since the start of the season. The Chiefs jumped to an early lead, and simply tread slowly from there, hoping the Browns don’t create too much momentum. Luckily, they didn’t, and the early lead they built was enough for their defense to cope with against a team that has keeps shuffling through quarterbacks, hoping to, at some point, find one that’s good enough to keep for more than three consecutive games. The surprising thing about the Chiefs winning was how bad the protection on Alex Smith was. Smith does run pretty well, going for 40 yards on 6 carries, but the protection on him was terrible throughout the game, sacked 6 times, which marked the first time the Chiefs won a game with their quarterback being sacked six times since 1986. Another surprise was the Chiefs running a lot more than before. 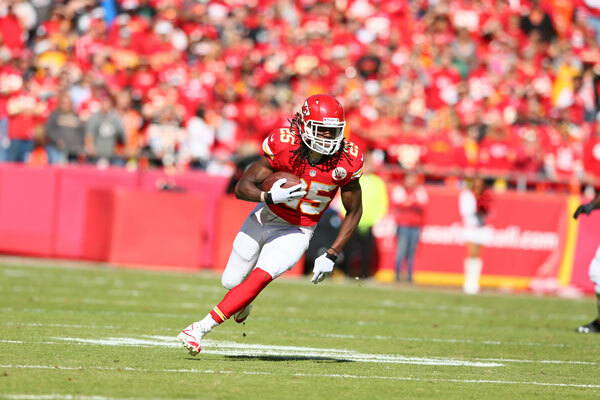 Jamaal Charles carried the ball 18 times for 74 yards, but he also caught five passes for 46 yards. Charles has accounted for 38.5% of the Chiefs’ yards from scrimmage this season, the highest percentage for any running back in the league. Kansas City averaged 4.7 yards per carry, gaining 101 yards (out of a total of 136) before initial contact. That’s their highest average per carry this season, and the second most rushing yards this season as well. The Chiefs have lost 12 or more games in four of the past six seasons, and those who have been on most of those teams don’t really care about criticism when it comes to their style or dominance. The best you can be at this moment is 8-0, so even if the Chiefs haven’t been putting up offensive shows like the Denver Broncos or the New Orleans Saints, while they’ve struggled to put away teams like the Brows, it’s hard to argue with their success, which includes not allowing anyone more than 17 points this season. Not that anybody sneaks up on anybody in this league, but when you’re the only undefeated team, I think teams have recognized how we’re playing and no question they’re coming prepared. We love it. You want the stages to get bigger. That’s why you put in all the work in the offseason. That’s why you do training camp. You want these opportunities. You want that honor. We’re not trying to be beauty queens. It’s never too close for comfort when it’s a win.